Fairmont Jakarta had the honor to host Prime Minister of Japan, Shinzo Abe and the First Lady during his two-day visit to Jakarta. 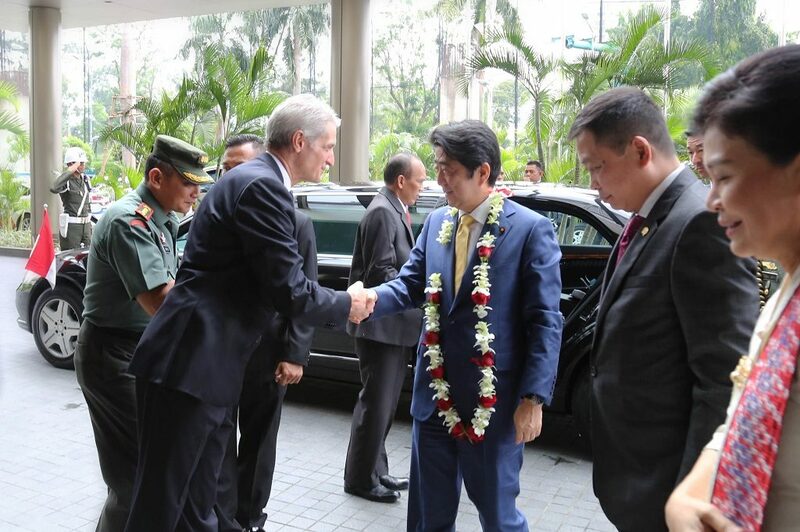 The arrival of Prime Minister Abe was welcome by Fairmont Jakarta General Manager, Carlos Monterde, on Sunday, 15 January 2017. The bilateral relation between Japan and Indonesia has entered its 59th year this year. Accompanied by 30 chief executives from Japan, from diverse business backgrounds, including banking, manufacturing, transportation and the steel industry, Prime Minister Abe and his delegations were in Jakarta to meet the President of the Republic of Indonesia, Joko Widodo, to discuss several pertinent issues on economics and social, cultural and maritime affairs. This is his fourth visit to Indonesia as a Prime Minster, after his visits in 2001, 2003 and 2007. This visit also makes Prime Minister Abe as the first foreign leader to visit Indonesia in 2017.